The Israeli police and army tried to come up with various allegations, including the usual claim of “carrying a knife,” and then tried to claim that she “was wearing an explosive belt,” while the only thing she “carried” was her fetus. 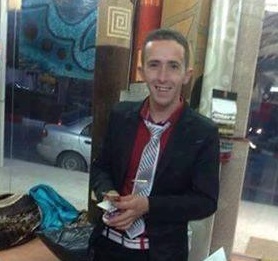 The slain woman has been identified as Maram Saleh Abu Ismael, 24, a mother of two children; Sarah, 6, and Remas, 4. Her brother, Ibrahim Taha, only sixteen years of age, was also killed as he was walking with her, heading to Jerusalem, after she obtained for the first time, a permit to enter the city. In contrary to the Israeli allegation that Maram “carried a knife,” and the second allegation of “carrying an explosive,” eyewitnesses said the two victims walked the wrong route while heading to the Qalandia terminal, as they took the route that is only used for vehicles, instead of the pedestrian path. The soldiers then started shouting in Hebrew, a language neither Maram nor her brother understood, and the woman just froze from fear before the soldiers started firing at her, and when her brother rushed to rescue her, the soldiers shot him too, and both were left to bleed to death. The two were tens of meters away from the soldiers, and contrary to military allegations, did not attempt to attack any soldier or officer. Mohammad Ahmad, a bus driver who witnessed the shooting, said an Israeli soldier, who standing behind a large concrete block, shot the woman from a distance of more than twenty meters. The slain brother and his sister are from Qotna village, northwest of occupied Jerusalem; Maram is Married and living with her husband and children in Beit Surik nearby village. It is worth mentioning that a Palestinian ambulance rushed to the scene, but the soldiers closed the entire area, and prevented them from approaching the two Palestinians, who eventually bled to death. More than an hour after the shooting, Israeli military medics placed the corpses of the two Palestinians in black bags, and took them away. One day before this fatal shooting, a Palestinian man in his sixty nearly faced the same deadly fate when he walked this same wrong route, but when the soldiers started shouting at him he understood them because he speaks and understand Hebrew very well. Hamas on Wednesday slammed the world’s silence over Israel’s cold-blooded execution of a Palestinian girl and her brother at the Qalandiya checkpoint earlier in the day. 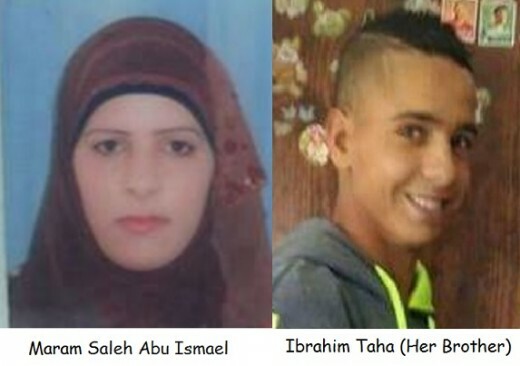 23-year-old Maram Salah Abu Ismail, a mother of two kids, and her 16-year-old brother Ibrahim Saleh Taha were shot dead by the Israeli occupation soldiers near the Qalandiya checkpoint, in northern Occupied Jerusalem, on Wednesday morning. Israeli forces on Wednesday shot and killed a Palestinian woman and child after an alleged stab attempt at Qalandiya military checkpoint near Ramallah in the occupied West Bank, police and witnesses said. Israeli police spokesperson Luba al-Samri said two suspects, a young man and a young woman, approached the vehicular path leading through the military checkpoint and walked quickly towards border police officers, the woman carrying a knife in her hand. The spokesperson claimed the officers ordered the suspects to halt before opening fire on and injuring the two. An eyewitness told Ma'an that Israeli forces fired more than 15 rounds into the woman’s body and confirmed her death. Witnesses are heard in video footage of the scene following the incident claiming that a Palestinian boy approached the woman after she was killed before being shot by Israeli forces as well. Israeli media reports confirmed the child died shortly after. The Palestinian Red Crescent told Ma’an that Israeli forces denied Palestinian paramedics access to the woman and child for medical treatment. The woman was identified as 24-year-old Maram Salih Hassan Abu Ismail. The incident marks the first alleged attack since a Palestinian from Aida refugee camp in Bethlehem carried out a bus bombing in Jerusalem last week, dying later from his wounds and leaving 20 injured. The attacks come despite an apparent lull in a wave of violence that spread across the occupied Palestinian territory in October, marked by small-scale attacks carried out by Palestinian youth, the majority on Israeli military targets. The violence has left nearly 30 Israelis and 200 Palestinians dead. According to the UN, investigations into a number of Palestinian deaths since October showed that Israeli forces have in a number of instances implemented a policy of extrajudicial execution, shooting dead Palestinians who did not present imminent threat at the time of their death. Israeli soldiers shot and killed, on Wednesday, a young Palestinian woman and a man at the Qalandia terminal, north of occupied Jerusalem. The soldiers fired more than fifteen bullets targeting the woman, and prevented Palestinian medics from approaching the two. 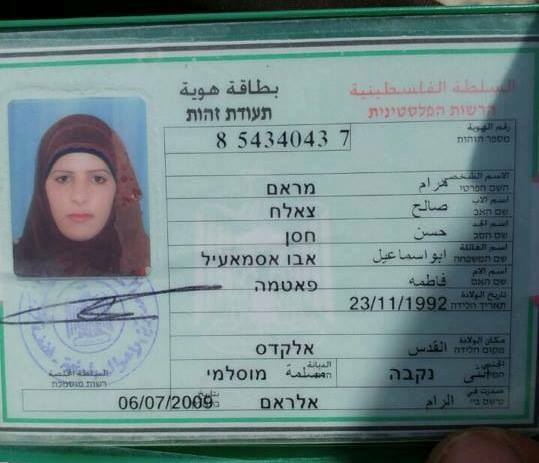 The Palestinian Health Ministry said the slain woman has been identified as Maram Saleh Abu Ismael, 24, from Beit Surik town, north of occupied Jerusalem; she is a mother of two daughters identified as Sarah and Rimas. The young man remained unidentified until the time of this report; Israeli sources said, so far, there is no known relation between the two. They added that the alleged planned attack could target Israeli soldiers, and medics who rush to the area of the attack, by detonating the explosive belt among them. It added that the police said the woman had her hand inside her bag, while the man had his hand behind his back. A Palestinian ex-prisoner was shot and killed on Thursday by Israeli Occupation Forces (IOF) at the entrance of al-Arroub refugee camp north of al-Khalil after an alleged stabbing attack. Palestinian medical sources identified the slain Palestinian as 50-year-old Ibrahim Baradiya. According to the PIC news reporter, Israeli forces prevented locals from approaching the slain body and blocked its delivery to the Palestinian Red Crescent. 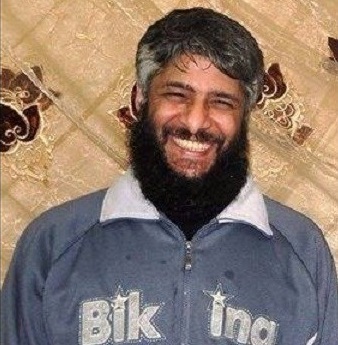 Baradiya, from al-Khalil, is an ex-prisoner who served long years behind Israeli bars. Israeli media sources claimed that Israeli forces opened fire at a Palestinian man after he allegedly tried to attack an Israeli soldier with an ax at the entrance to al-Arroub camp. Baradiya is the first Palestinian to be killed by Israeli forces since the March 24 killing of Abd al-Fattah Yusri al-Sharif, 21, which sparked international outrage after footage was released showing an Israeli soldier shooting al-Sharif in the head while the young Palestinian was lying wounded and motionless on the ground after allegedly stabbing an Israeli soldier. Following the alleged attack, Israeli forces closed all entrances leading to the refugee camp and deployed in large numbers in the area. Meanwhile, Israeli forces chased a Palestinian woman for allegedly trying to carry out a stabbing attack at Gush Etzion checkpoint. Along the same line, Israeli police detained two Palestinian boys for allegedly planning a stab attack in the Old City of occupied Jerusalem on Thursday afternoon. Israeli police spokesperson Luba al-Samri claimed that Israeli police and border guards suspected two boys who were later identified as 12-year-old Palestinian children from occupied Jerusalem. Al-Samri added that police stopped and searched them and found three knives, in addition to a farewell letter written by one of the boys to his family. After initial interrogation, police found that the two boys were planning a "terrorist" attack, al-Samri claimed. According to prisoners’ rights organization Addameer, 406 of the 7,000 Palestinians currently held in Israeli prisons are minors. An estimated 108 of those youngsters are under the age of 16. 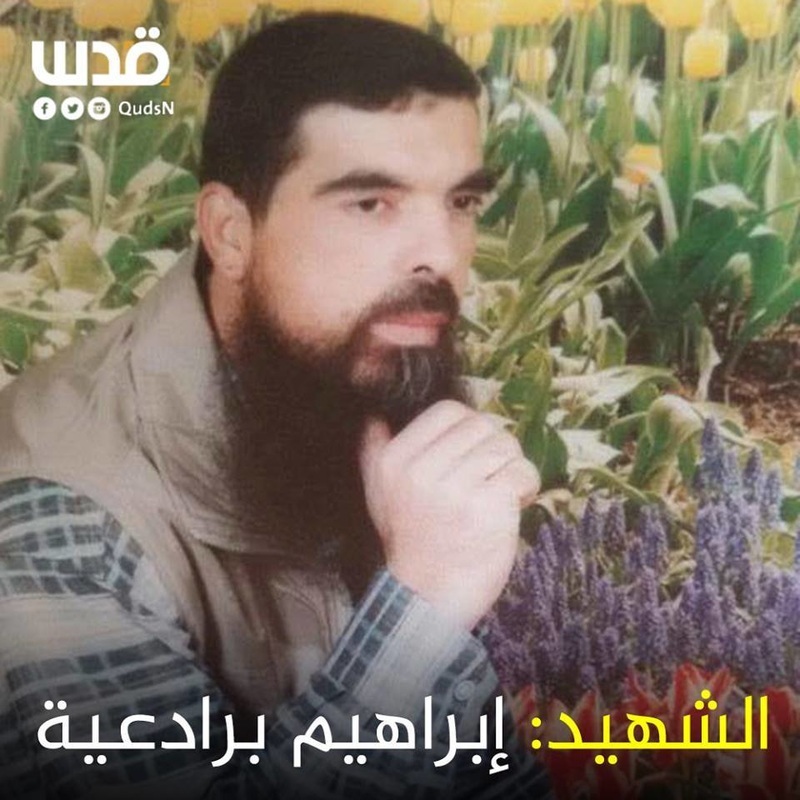 A field commander in the al-Quds Brigades, the military wing of the Islamic Jihad movement, died on Monday of wounds he sustained in an Israeli attack on the Gaza Strip in 2006. In a statement, Islamic Jihad identified the man as Muhammad Abed, 47, from Jabaliya refugee camp. No further details were provided on the nature of his injury or how they were sustained. The beleaguered Gaza Strip saw heavy fighting with Israel in 2006, particularly after Hamas won national Palestinian elections. Hamas later fought its way to power in the coastal enclave, resulting in an Israeli military blockade that has been in place since. Two Palestinian youths were shot dead by the Israeli occupation troops on Thursday morning in the southern West Bank province of al-Khalil on allegations that they attempted to stab an occupation soldier. According to the Israeli 0404 news site, the occupation soldiers fired multiple gunshots at two Palestinian youths after they carried out an anti-occupation attack in Tel Rumeida, in al-Khalil. An Israeli soldier sustained light-to-moderate injuries in the alleged anti-occupation stabbing. The Palestinian Health Ministry confirmed the piece of news but did not identify the casualties yet. According to the PIC news correspondent, the occupation forces prevented Palestinian citizens from approaching the scene to evacuate the casualties to hospital, leaving them bleeding on the ground to death. The Israeli army further banned Palestinian ambulance crews from assisting the two youngsters. The Israeli soldier was, however, immediately rushed to hospital. 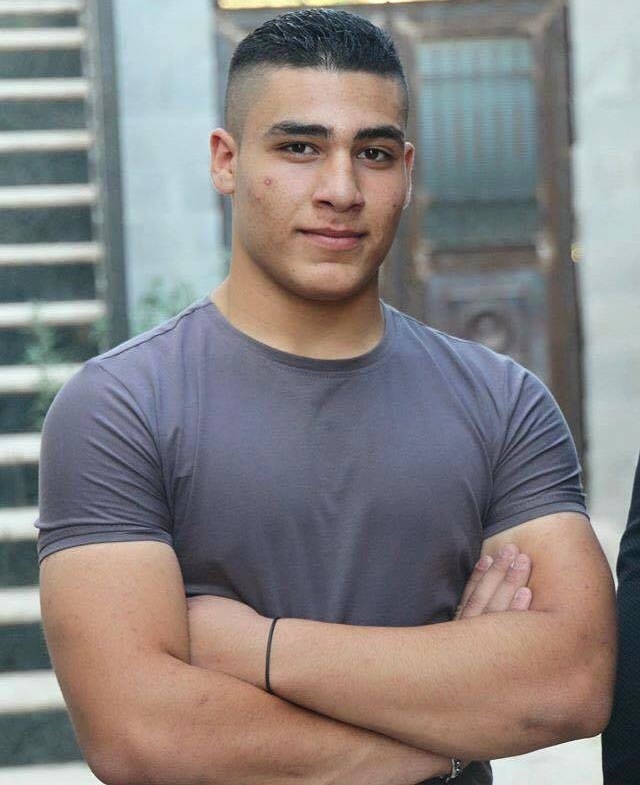 stepped out of his home and saw several soldiers surrounding the two wounded Palestinians as they were on the ground, bleeding, before a soldier walked close to one of them, who was still moving, and shot him in the head. A Palestinian young man was killed after he allegedly stabbed an Israeli soldier on Saturday morning near the Ibrahimi Mosque in al-Khalil city. According to Israeli news reports, the stabbing attack happened near Abul-Rish checkpoint, which leads to the Ibrahimi Mosque in al-Khalil. The Palestinian ministry of health was informed about the killing of a Palestinian citizen near the Ibrahimi Mosque, but his identity is still unknown. 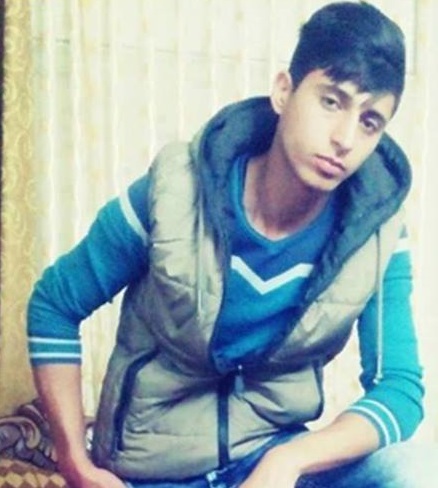 The victim's brother told Ma'an the young Palestinian was 18-year-old Abdullah Muhammad al-Ajlouni from Hebron. Witnesses told Ma’an that the soldiers "showered" al-Ajlouni with bullets, adding that Israeli forces had closed all entrances to the Ibrahimi mosque in the old city of Hebron following the attack. Shortly after the killing, Israeli forces closed down several roads in Hebron. Locals told Ma'an Israeli forces closed an iron gate at the entrance of al-Fahs road in southern Hebron, as well as another gate at the entrance of Farsh al-Hawa neighborhood in the western part of the city. A major road on the eastern outskirts of Hebron was also shut off with earth mounds. An Israeli army spokesperson confirmed that "a few" roads had been blocked in Hebron. According to Ma'an reports, at least 201 Palestinian to have been killed since violence increased in the occupied Palestinian territory and Israel in October, with a wave of small-scale attacks and attempted attacks, the majority carried out by Palestinian individuals on Israeli military targets. Almost 30 Israelis have been killed during the same time period. The settlement of Kiryat Arba has been the scene of several recent alleged attacks. On Monday, three Palestinians, including an 18-year-old, were killed in short succession at a bus station outside of Kiryat Arba after two of them opened fire on soldiers and another allegedly carried out a "ram attack" with his vehicle. US and Israeli officials have criticized Palestinian leadership for failing to condemn a number of attacks carried out by Palestinian individuals -- the majority of which have been carried out on military targets -- while critics say Israel has practiced a policy of extrajudicial executions of Palestinians.